Removable wallpaper is basically like normal wallpaper without all the sticky fuss and it looks just as nice as the traditional stuff. We have a selection of materials when it comes to wallpaper with peel and stick wall murals being one of them. This high-quality wallpaper has a fine textured finish and is made of self-adhesive fabric which means no paste or water is needed to get it to stick up. You simply just peel and stick your wall mural and you’re all done. Peel and stick wall murals allow you to peel off the wallpaper quickly, without making a mess or causing any damage to the wall. Unlike traditional wallpaper, if you make a mistake while installing your wall mural you can take it off and start again. This means you can redecorate your home as much as you want without causing a mess. 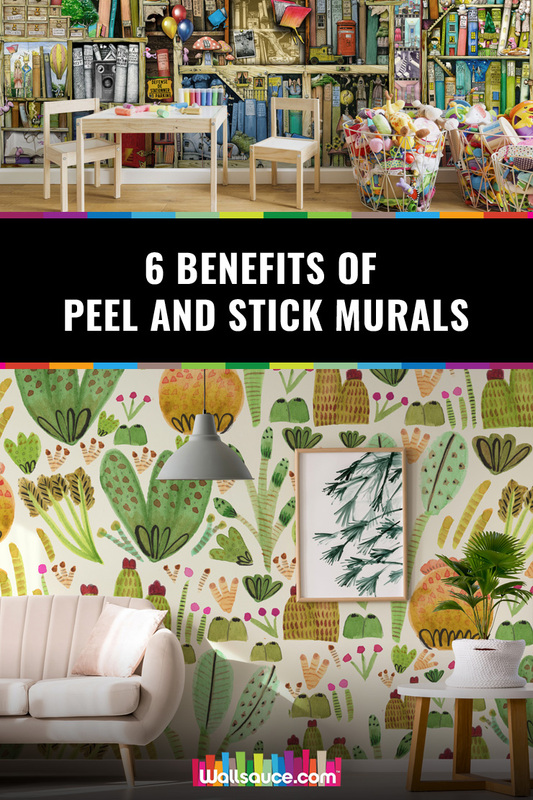 You can get seasonal and have a bright-coloured peel and stick mural during spring/summer and something darker during autumn/winter. On top of the price of the actual wallpaper there’s the fitting of it. Not everyone feels confident with applying wallpaper themselves so will get a professional decorator in to do it – and they don’t come cheap either. Peel and stick wall murals are less messy when it comes to the application process, as they’re self-adhesive so it can give people the confidence to install the wallpaper themselves. If you’ve been renting for a while you may have found that decorating can be a bit of a pain. Contract limitations can often get in the way of adding your own touch to your home. Some landlords can be really strict and you can’t even hammer a nail in the wall to hang a photo without asking for permission! Peel and stick wall murals will give you the freedom you’ve always wanted to add your personality to your home. You can simply stick it on without causing any mess and then take it off when you move out. Simples! 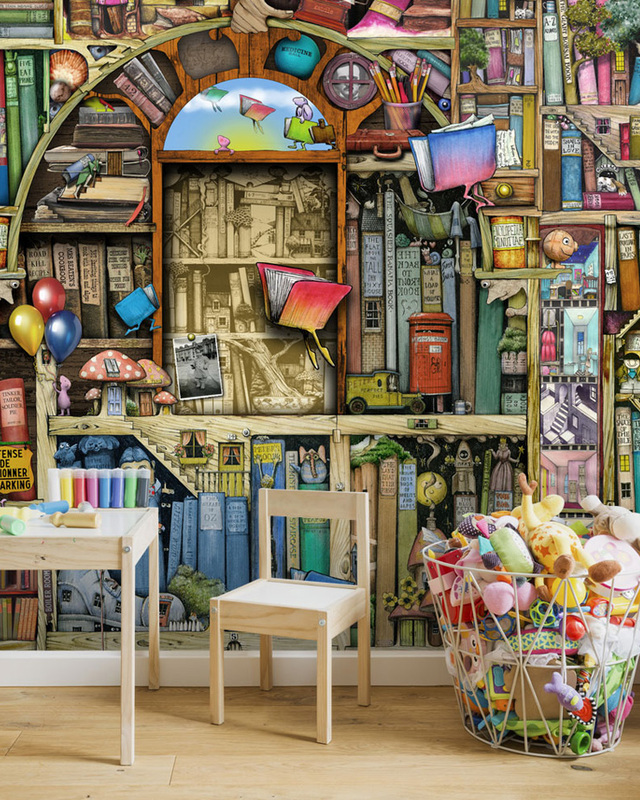 Peel and stick wall murals are literally perfect for your children’s bedroom. You can redecorate your child’s room as they grow and as their preferences change. They’re not going to be into fluffy animals or dinosaurs forever. So as they go through childhood you can easily change their wallpaper to their taste with no fuss or hassle. 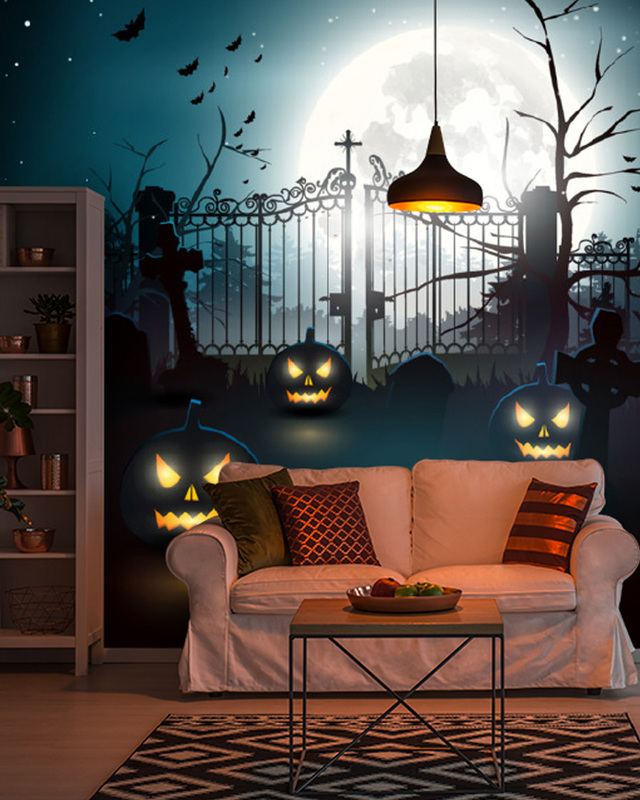 Birthdays, baby showers, Halloween parties, basically any special occasion can be made extra special with a wall mural. If you’ve been planning a surprise for a loved one or having a big get-together at your home and have gone to the effort of putting balloons and banners up then a peel and stick wall mural will just add that special finishing touch. It’ll make the perfect background to take all your photos and after the party is over if you keep the back liner of the peel and stick wall mural you can stick it back and reuse it another time. 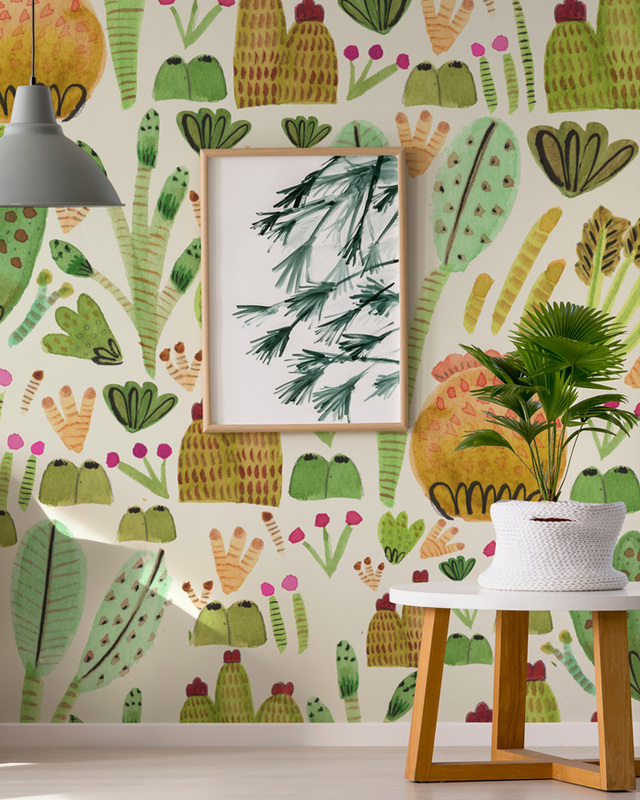 If you’ve got a bit of a creative spirit then you can channel your inner interior designer by using your removable wallpaper on things like a computer desk, drawers, kitchen cabinets or even your window sills. Pinterest has some fabulous ideas on alternative ways to use wallpaper! Give your walls a good clean pre-application to avoid any interference with the adhesive. Dirt and grime build up over time across the surface of your walls and if you apply your peel and stick wall mural directly to a dirty wall it might not stick on properly or may not last as long as it should. Just give your walls a wipe with warm, soapy water, to ensure that as much of the dirt and grime is removed as possible. Let your walls dry properly before you apply the mural. Peel and stick wall murals won’t stick properly on textured walls and the texture would probably show through the mural. Also if you did get it to stick it’s likely to not last as long and could possibly start to peel off so play it safe and use it only on smooth walls. Order a bit extra to give yourself some extra room for when you cut it to fit your wall. You’d rather you have too much which you can cut to size than end up with too little. Be patient and take your time to avoid getting bubbles in your mural. If you do get a little pesky bubble or two don’t worry and simply peel the wallpaper back from where you’ve applied it, reapply it and smoothen out the bubbles with a firm hand. You can also use a clean, sharp pin to pop the bubble and smooth out the air within. Peel and stick wall murals are easy to install and you can do it by yourself but if you have someone with you it will make your job easier. That way one person can help to hold the wallpaper in place while the other applies it to the wall - just like this awesome twosome who installed one of our self-adhesive murals in their osteo clinic!.. 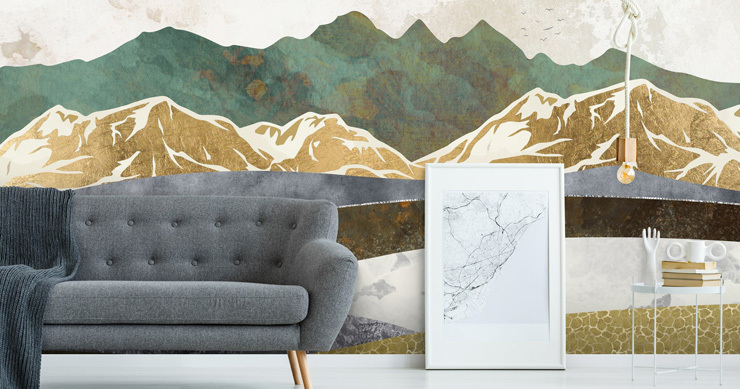 If you’re still not sure if a peel and stick wall mural is for you then you may like to read our post on why your home needs removable wallpaper.